'It's time we right this unacceptable wrong,' says bestselling author and leading Christian activist Jim Wallis. Fifty years ago, Wallis was driven away from his faith by a white church that considered dealing with racism to be taboo. His participation in the civil rights movement brought him back when he discovered a faith that commands racial justice. Yet as recent tragedies confirm, we continue to suffer from the legacy of racism. The old patterns of white privilege are colliding with the changing demographics of a diverse nation. The church has been slow to respond, and Sunday morning is still the most segregated hour of the week. 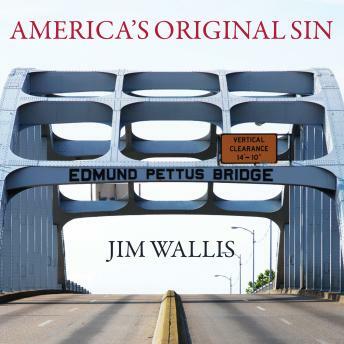 In America's Original Sin, Wallis offers a prophetic and deeply personal call to action in overcoming the racism so ingrained in American society. He speaks candidly to Christians-particularly white Christians-urging them to cross a new bridge toward racial justice and healing.